Dr. Misako Nakashima has completed her PhD at the age of 25 years from Kyushu University and Postdoctoral Studies at National Institute of Dental Research, NIH, and Johns Hopkins University and New York University. She has published more than 80 papers in reputed journals. 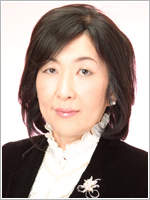 She is currently the Chief of Department of Oral Disease Research, National Center for Geriatrics and Gerontology, Research Institute, 35 Gengo, Morioka, Obu, Aichi 474-8522, Japan.